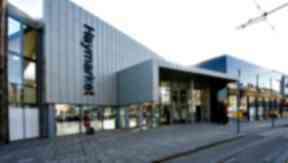 Haymarket crowned overall winner of 2015 Saltire Civil Engineering Awards following refurbishment. 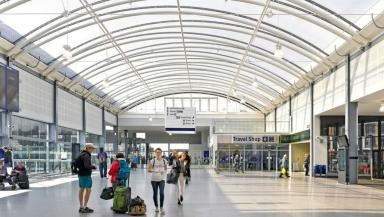 Scotland’s fourth busiest railway station has won a top engineering award. Following completion of a major refurbishment and extension project, Haymarket was crowned the overall winner of the 2015 Saltire Civil Engineering Awards. 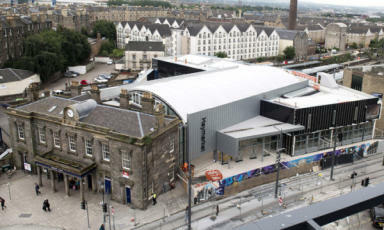 The state of the art transport hub in the west end of Edinburgh was created to accommodate a predicted six million increase in passenger numbers over the next 15 years. The £25m redevelopment includes the refurbishment of an existing Grade A listed station building and a major extension. The new concourse building, which bridges the platforms and rail lines, was constructed in a former car park adjacent to the station and required two 110 tonne modules to be lifted into place overnight. This innovative solution enabled the completion date to be brought forward by nearly a year, and ensured all work was undertaken while the station was fully operational and without disruption to train services. 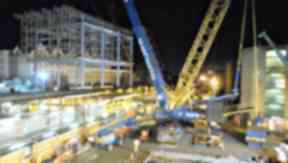 Announced annually, the awards are presented from the Saltire Society and the Institution of Civil Engineers Scotland. Derek Mackay, minister for fransport and the islands said: “The Saltire Civil Engineering Awards represent an opportunity to recognise and celebrate civil engineering at its best across Scotland. I am delighted for the project team behind the delivery of Haymarket Station Capacity Improvement Programme, which was just one element of the Edinburgh Glasgow Improvement Programme funded by the Scottish Government. “The Scottish Government has invested over £15bn in transport since 2007, including seventy-six kilometres of new railways delivered with thirteen new train stations opened and twenty-three major improvements to our motorways and trunk roads completed. Speaking on behalf of Network Rail, Rob McIntosh, regional director added: “The safety of our passengers and staff is paramount in everything we do. "Twelve thousand passengers and 800 trains pass through Haymarket every day and the team did everything in its power to ensure that this complex project was delivered with minimal disruption and fuss.